Whether you know for a fact that you have an existing arrest warrant for a DUI or traffic violation or you’re not positive it’s best to do something about the warrant before you turn yourself in. Our experienced bondsmen have a couple tips for making sure you stay in line with the law if you have a warrant out for your arrest. It’s unwise to wait for police officers to find you when you have an existing warrant. It will decrease your quality of life and make you fear an arrest at every turn. Plus, your wait in jail will be longer if you wait for police to find you than it would be if you started making plans. When you call a bondsman beforehand, it makes the entire arrest process go faster. A bondsman, like those at Atlantic Bail Bonding can look up whether or not you have an existing arrest warrant. Then, we can give you a bail bond before you go to jail to streamline your arrest process. It’s very likely that you will spend less time in jail if you sign for a bail bond beforehand. At the end of the day, it’s better to face a warrant than live through the fear of waiting for an arrest. Law enforcement will appreciate that you took initiative to put any charges behind you, which will look better on your record. Plus, the sooner you turn yourself in, the sooner you can get back to your normal life. 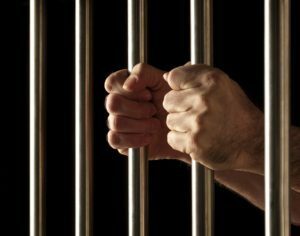 For bail bond services from trusted, compassionate bail bondsmen, call us toll-free at 1-866-588-2245. At Atlantic Bail Bonding, we have helped countless people get the financial assistance they needed to get out of jail. Let us help you too! We are open 24 hours a day, 7 days a week, 365 days a year for you. Posted in Uncategorized on September 22, 2018 at 7:50 am by Atlantic Bail Bonding.